Right now, cutting-edge IPL Acne Treatment in London is changing lives for the better. Acne affects the lives of millions of people across London and the rest of the UK, though pinpointing an effective acne treatment has traditionally been challenging. Topicals can certainly help, but for the more advanced cases of acne, you need a more advanced acne treatment that targets the problem at its source. IPL is a revolutionary approach to acne treatment, widely considered the most effective ever devised. Pulses of light energy are directed at the affected areas of the skin, which triggers a photoelectrochemical process that kills bacteria and reduces the severity of the acne. The treatment itself is extremely quick to carry out with no risk of adverse side effects. For the best possible results, follow up your IPL Acne Treatment in London with the application of high-quality acne creams and topicals. Contact a member of the HSA Dermal Clinic team today for more information on IPL Acne Treatment in London. IPL is widely considered to be the best acne treatment currently available. One of the most advanced and effective approaches to the treatment of acne ever devised, IPL uses intense pulses of light to target the root cause of acne. Experts worldwide consider IPL to be the best acne treatment as not only is it effective, it’s all so quick and easy to carry out with almost no risk of side effects. Suitable for the vast majority of skin types, IPL is perhaps the single best acne treatment for teenagers and adults of all ages. Particularly when used in conjunction with high quality topicals, the effects of IPL can be both impressive and long lasting. Multiple sessions may be needed, but even the most advanced cases of acne can be brought under control with IPL. 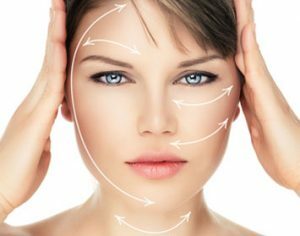 With such a huge range of options to choose from, what are the benefits of laser treatment for acne? Why is it that laser treatment for acne is often singled out as the very best of all treatments for acne? Above all else, it’s the effectiveness of laser treatment for acne that stands out as its primary benefit. By tackling the root cause of acne at its source, breakouts can be reduced in severity or eliminated entirely. What’s more, laser treatment for acne is considered comprehensively safe with very little risk of adverse side effects. The treatment can be completed in no time at all, building to an impressive improvement in a matter of weeks. Suitable for all skin types, laser treatment for acne is considered safe for teenagers and adults of all ages. As a surprisingly affordable approach to acne treatment, it’s clear to see why experts recommend laser treatment as the best treatment available.